What Does Check Outcome Mapping Mean? Getting an error when you try to publish your quiz? Check out this doc to find out why and how to fix it! If you are getting an error when you try to publish your quiz that says "Check Outcome Mapping" this means that not all of your questions answers are linked to an outcome. In order for your quiz to go live each answer needs to map to an outcome. Follow the steps below to map your questions answers to an outcome. Go to the "Questions" section of the quiz builder. 2. 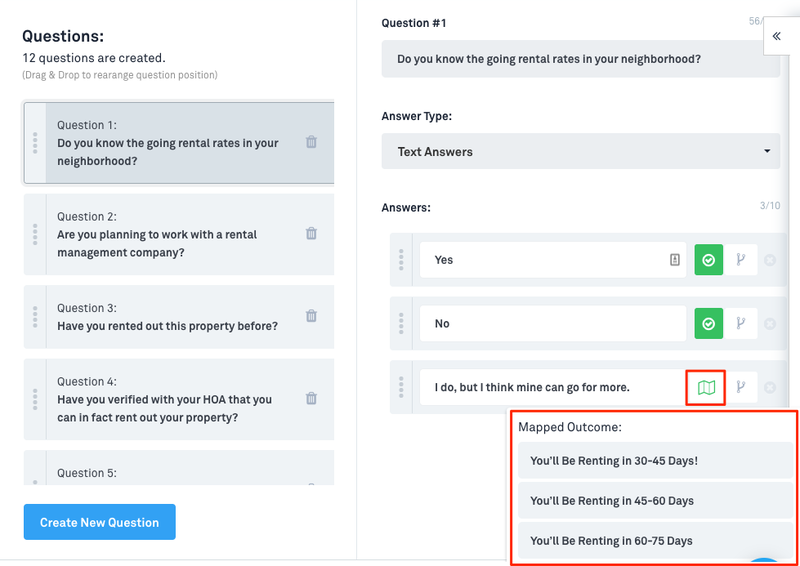 Click on each question to verify that each answer is linked to an outcome. If the answer is linked you will see a green check next to the answer. If the answer is not linked you will see a little "map" icon next to the answer. As shown below. 3. To map the answer to an outcome just click the "map" icon and select the outcome that it should map to. 4. Once all answers are mapped click back to the publish quiz section and publish your quiz!